Yukata The One and Only Cotton Candy Set Pink Indian Woven Cotton with Japanese Denim (cotton 100%) Nagoya-Obi (w/ hand stitch embroidery at the bottom) & Leather 4 Plait “Round” Braid Obi-Jime. 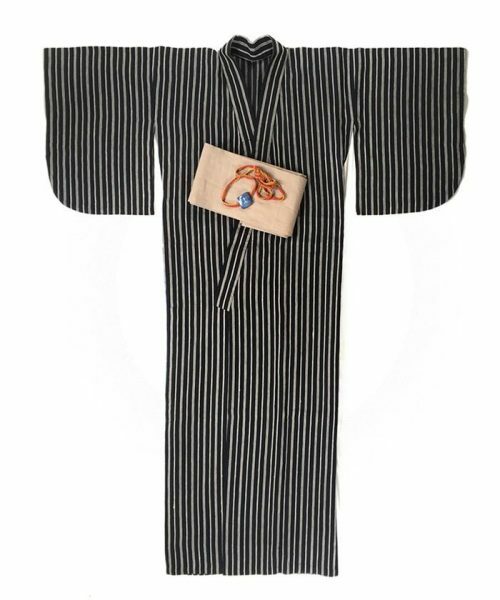 The collar is wider than regular sized Yukata, also the sleeves are rounded so even a petite size woman can wear this Yukata with the desired effect. Natural materials 《cotton, linen 》 of Yukata must put on slip underneath. You can add perspiration absorbing cloth lining below “Hashori” (Edge bend) an option. Yukatabira” as known as “Yukata” used to be worn by japanese people in Muromachi period until the beginning of Edo Period as Pajama or bathrobe. People even worn Yukata for when they were taking a bath( They only have steam sauna bath back then) Those Yukata were made by hemp fabric because easy to soak sweat and also they wring water out of yukata and wipe their body then wear it again. The end of Edo period townspeople culture has been developed and they started to open up the public bath places which as spa these days. People started wear Yukata as bath robe and they also became go home with Yukata and changed into outdoor wear. The fabric has been changed to Cotton from hemp as well. 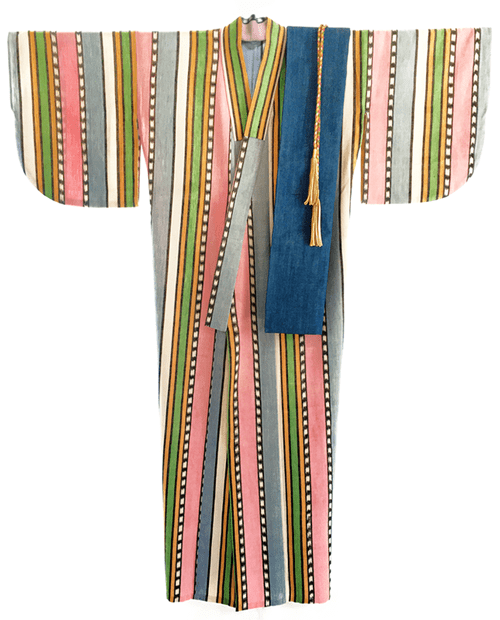 In between the Edo townspeople, They set the fashion as making gorgeous patterns, and also they go out in yukata matching, such as Ohanami (partying under the Sakura tree) and Bon Odori (Traditional Festival dancing) is prevalent, people and imitate the costumes Kabuki actor wore on stage was very in styled. So Can I sugguest Bon Odori = Pajaya Party? After world war 1, We Japanese people tend to Yukata also absolute temporary with Kimono due to westernization But Yukata reviewed again as Fashion as a “Fashionable Clothes of Summer” between the young Japanese women and men and also kids in recent years. 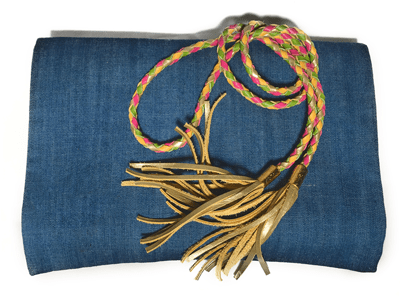 Heko obi (兵児帯 , “soft obi”?) 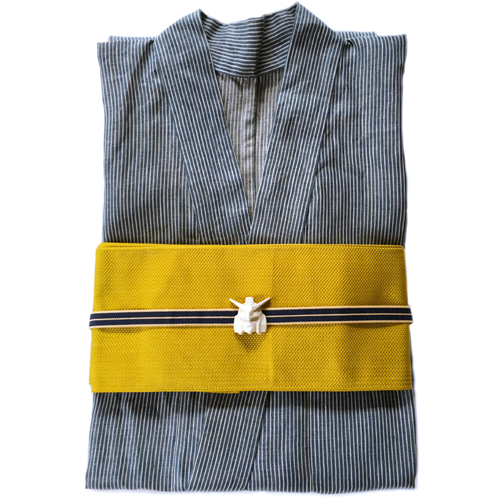 is a very informal obi made of soft, thin cloth, often dyed with shibori. 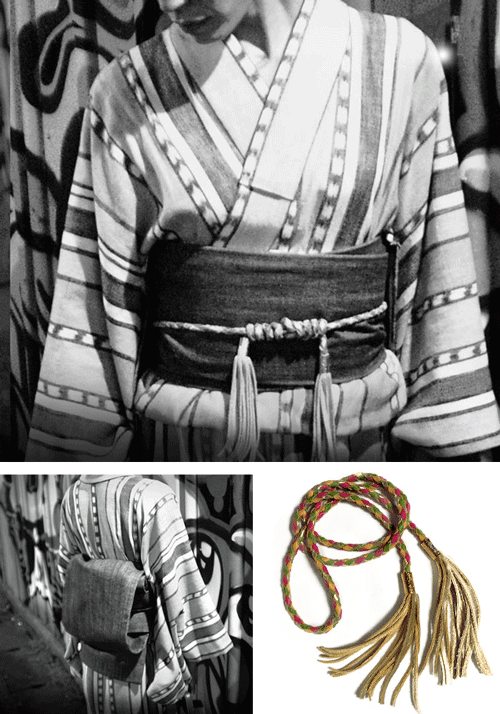 Its traditional use is as an informal obi for children and men, and there were times when it was considered totally inappropriate for women. Nowadays young girls and women can wear a heko obi with modern, informal kimono and yukata.